To find out how to import to the culture layer see this page. c. In this example, the image is displayed when viewing 2000ms. Right-click in the view and choose Import image. a. Image formats supported: png/jpg/bmp/tif/tiff. The image properties window will open. 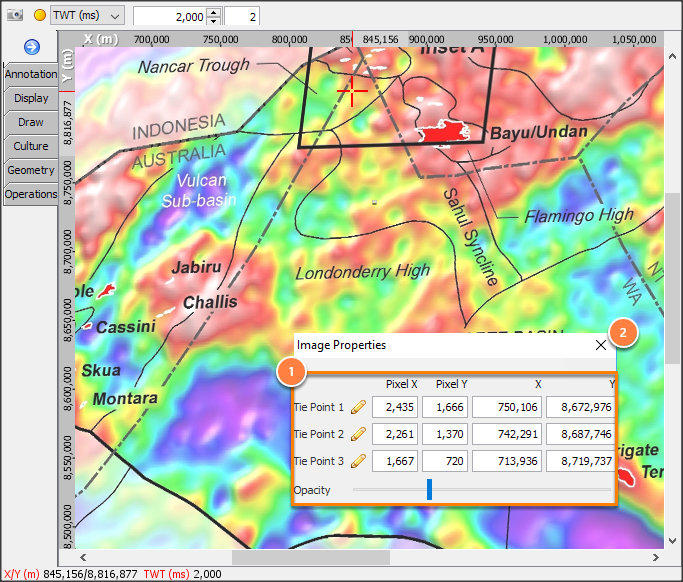 To be positioned and scaled correctly in the map view, the image coordinates (in pixels) must be related to map coordinates (in UTM X/Y). Three tie points are required. Type the desired values directly in the Pixel X, Pixel Y, X and Y columns or click the pencil icon to click on the exact location. Insight will update the Pixel X, Pixel Y, X and Y columns based on the cursor location. The imported image is now listed in the Culture tab of the Map View. 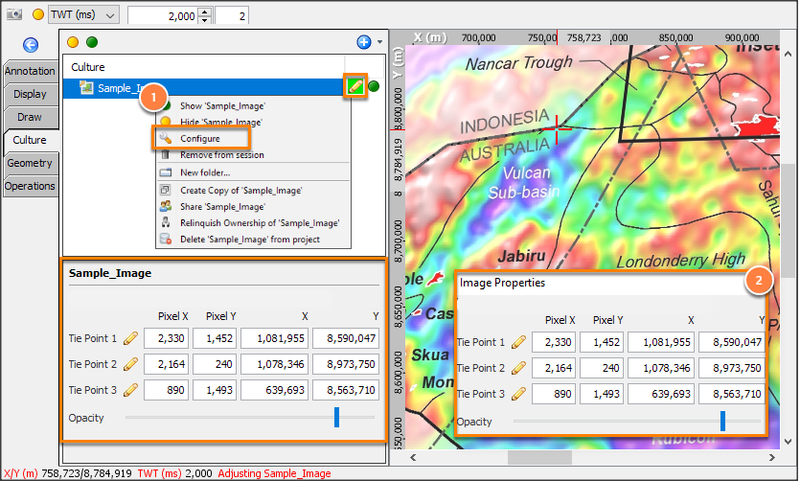 After importing or loading the image in the session, the image is listed in the Culture tab of the Map View. 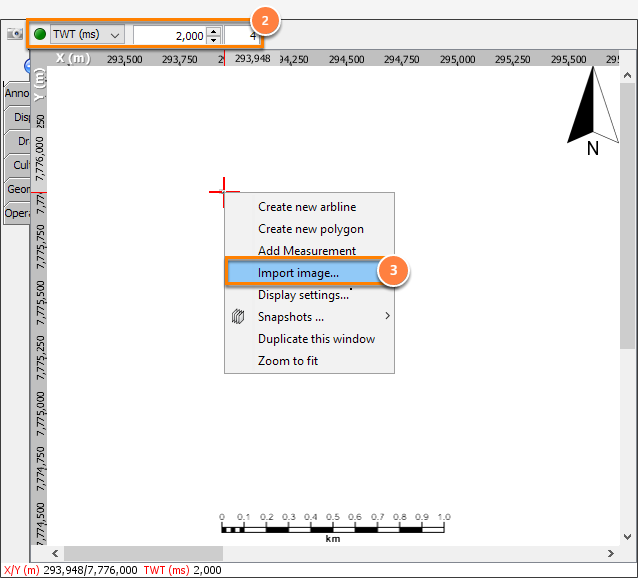 Right-click the image in the map view, and choose Adjust "image_name". Right click in the View and choose Stop Adjusting "image_name". 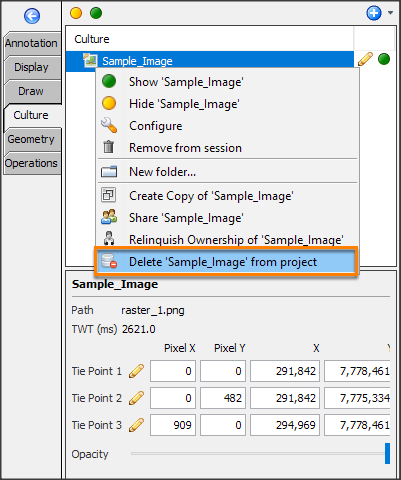 Right click the image in the Culture tab and select Delete "image_name" from project.